I’m really enjoying our warm weather. It was perfect for a trip to My Favorite Junk Shop yesterday. I got a bunch of goodies too. Over the weekend Sara and I conducted a paint workshop. 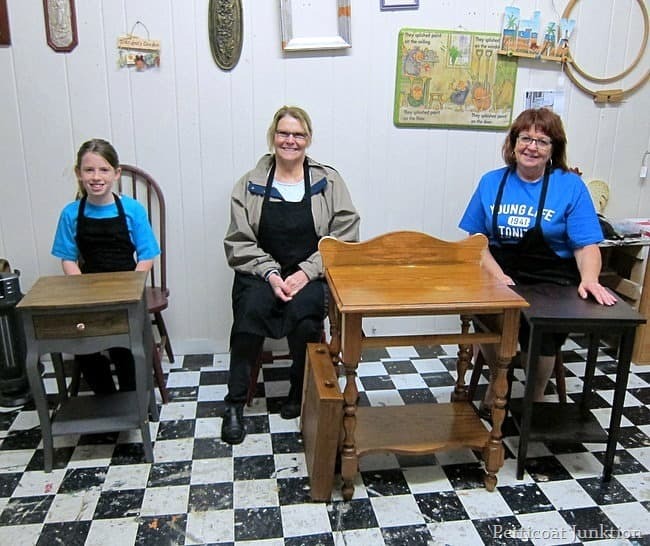 It’s the very first workshop where we had a grandmother and granddaughter participate together. The little lady on the left is Carson, Carolyn is in the center, and Carson’s grandmother Lynn is on the right. She knew how she wanted to paint her table and we got right down to selecting paint colors. Impressive…right? 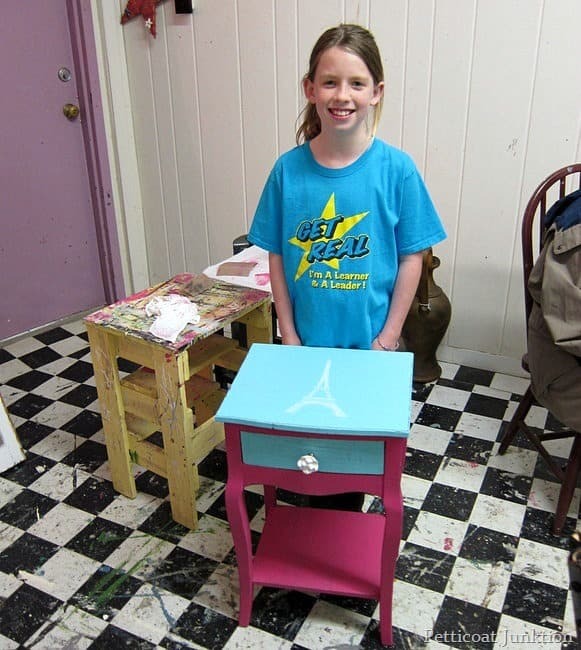 The stencil is perfect and I love the fuchsia and turquoise paint combination. 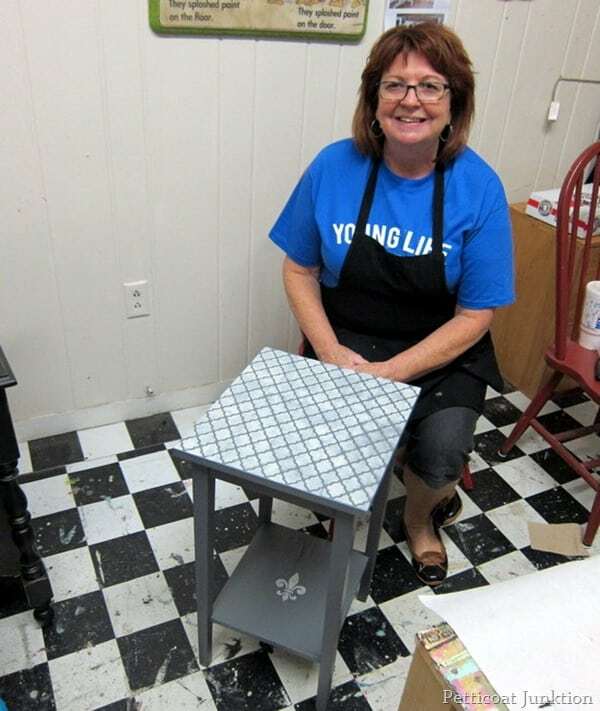 Grandmother Lynn brought in a ho-hum table and worked magic on it with paint and stencils. Who wouldn’t swoon over Carolyn’s black table. Those red knobs pop against the black. It would be hard for me to pick a favorite from the 3 projects. So fun! What a great trio! Uuuummmm, nope, can’t pick a fave love them all. Great job Carson! I love all three! Please share the makeover instructions. I am hunting for a table similar to Carolyn’s. Love the results and the red knobs. 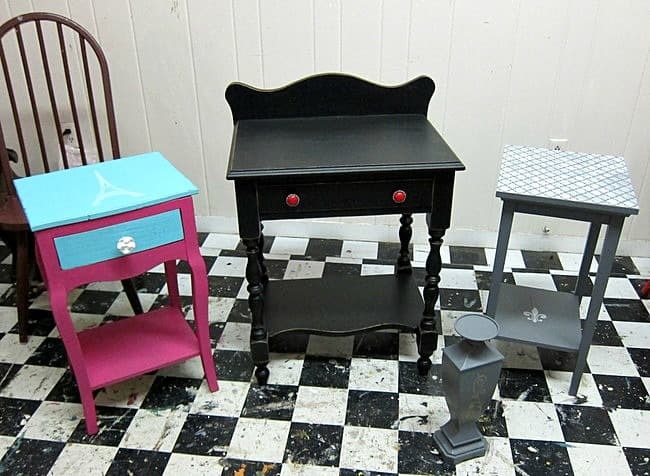 I like all three and like the “before” versions of Carson and Lynn’s tables as well. 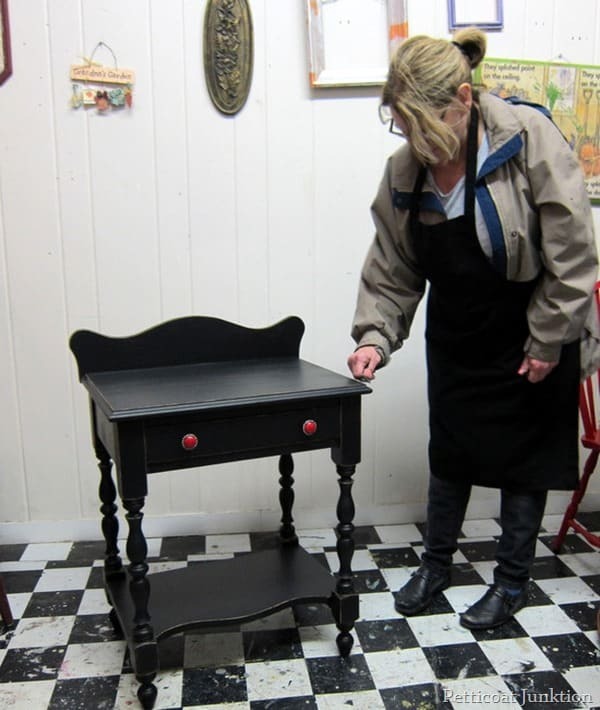 However, I must say Carolyn’s black table is another one of those amazing transformations! It’s a one thousand percent improvement over the original!